AR8601_APC has not been replaced. Please contact your customer care center for more information. Horizontal cable management accessory to organize data cable layout within an enclosure or a rack. Note: AR8601 has been discontinued and is not directly replaced by one part number. 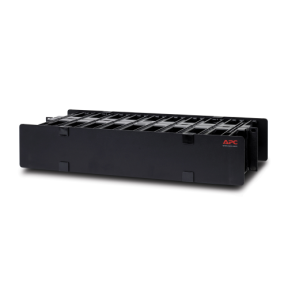 The replacement for AR8601 is a quantity of two (2) AR8600A.The AR8600A include double-sided configuration hardware to install (2) alike horizontal cable managers back-to-back for double-sided applications.